The new Porsche 911 GT3 was made official at the 2017 Geneva International Motor Show this week and now Porsche has released a new video of the car. We have already seen some videos of the new Porsche 911 GT3 in action, the latest video show the car at the Geneva Motor Show. 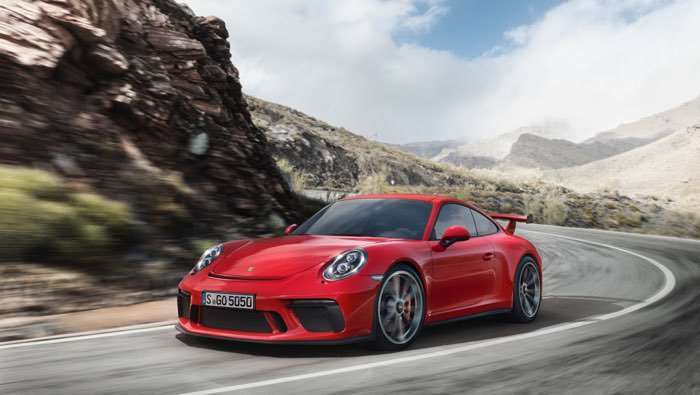 The new Porsche 911 GT3 is expected to be popular as Porsche are releasing the car with an optional manual gearbox, the previous version of the car was only available with Porsche’s PDK gearbox.